Wendy L. Sellers is the author of Puberty: The Wonder Years. She is also one of the distinguished writers of the Michigan Model for Health® and the American School Health Association’s 2014 Health Coordinator of the Year. 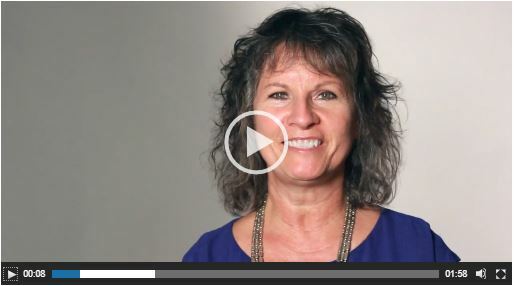 Learn more about Wendy by watching this video. Wendy has been a passionate advocate for health promotion for students for 30 years. Wendy L. Sellers is a national author, trainer, and the founder of Health4Hire, Inc. As the author of Puberty: The Wonder Years, Wendy advocates for skills-based, comprehensive, sexuality education that starts early, involves parents, and meets students’ needs. Among her favorite activities are answering students’ questions about sexuality and equipping others to be “ask-able” adults. Originally educated as a registered nurse, she quickly shifted her focus to prevention, became a Certified Prevention Consultant, and earned her master’s in Family and Consumer Sciences. Collaborating with stakeholders, Wendy has advanced coordinated school health through networking, communication, and data-based decision-making. Through these collaborations, Wendy has written proposals to successfully receive funding totaling over $3 million to support coordinated school health in her region. She also co-authored the nationally-recognized, evidence-based Michigan Model for Health, and has trained hundreds of educators across the country in its use. Wendy has served as president of the Michigan School Health Coordinators’ Association and advocated for programs and policies to improve the health of students through her role as their Legislative Committee Chair for 10 years. Wendy was named 2014 National Health Coordinator of the Year by the American School Health Association (ASHA). She now serves on the ASHA Board of Directors and chairs their Advocacy Committee. With these credentials and her dynamic presentation style, Wendy is a sought-after presenter on school health and advocacy at state and national conferences. Contact Wendy at Wendy.Sellers@PubertyCurriculum.com or 844-782-3789.